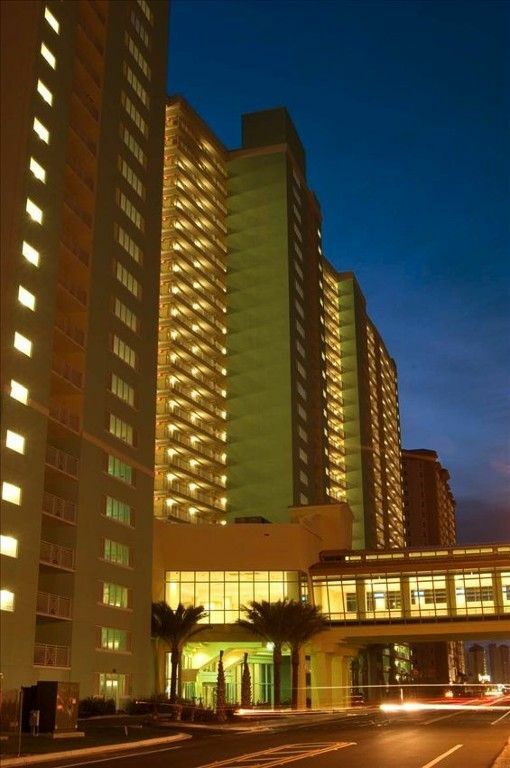 Oceanfront/ 2nd Floor... largest 2BR/2BA! "Tranquility at Emerald Beach"
We are within a mile from new and beautiful Pier Park with awesome shopping and fabulous restaurants including Jimmy Buffet Margaritaville...a must try. 'Tranquility' at Emerald Beach...a moment in time where mind, body, and spirit are at peace. Turn this moment into days, weeks, or months on the beautiful Emerald Coast, where the quartz crystal sand begins it's journey from the Appalachian Mountains and is carried by the Appalachicola River to the shores of your Gulf View Condo. RARE 2nd FLOOR END UNIT. The largest 2BR/2BA available! Immaculately kept with beautiful furnishings. We have a master with a king, a 2nd bed with a queen, a bunk area with 2 bunks, and a queen blow-up. Our dinning area seats 8 comfortably and our kitchen bar area can seat 3 more! Don't forget to view our awesome pictures. Our unit is handicapped accessible and we do implement a non smoking, no pet policy. We are kid friendly and we will negotiate prices. PLEASE NOTE: This unit is for adults and families only! If you are a parent renting a place for your teenagers to stay alone, please choose another unit. We will remove groups with no adults onsite with a no refund policy. Elevators are located to the left of our doors...very convenient! RARE 2nd floor very large handicapped end unit with amazing oceanfront views! Queen blow-up bed with all linens, Chair/umbrella rentals, 24 hour valet service, Concierge/bellman service, Sky Bridge Sports/Martini bar with 15 Plasma TV's, Pool Tiki Hut with full bar, Starbucks located in main lobby, Fitness Center/Gym coming soon, Health/Beauty Spa coming soon, Floridita pool with movie theatre opening in July 2008. The smell of rotting trash welcomed us as we entered the main lobby/escalator/elevator area, just outside the door of the condo and throughout most of the complex. Although your condo is handicap accessible the bed is too high for a handicapped person to use. My mother wasn’t able to get up on the bed. We ended up removing the mattress and buying a mattress topper to place on the box spring so she could sleep in the bed. The balcony is not accessible for the handicapped either along with the bar height chairs and table. With the way the building is angled we could not enjoy the sunrise or sunsets from the balcony. The dryer took forever to dry a small load of towels. The sofa and loveseat have a lot to be desired. They need to be cleaned. And an arm chair would be a nice addition to the seating. We had to wipe out the refrigerator of dirt and hair before we could use it. With all the complaints, we did enjoy the way the condo was decorated. We will not recommend Emerald Beach Resort because of the trash problem. Perfect location with a beautiful view of the gulf! My family enjoyed the condo. The location is perfect. We were able to sit on the deck and watch the dolphins every morning. When we revisit, we'll definitely select the same unit. Location is everything ..... absolutely amazing condo. Our first impression was how clean it was and then when we walked onto the balcony.... WOW! Stunning view of the beach..... whitest sand and very clean CLEAR water. We had the best week ever with our family. There are so many activities to do at Wyndham..... sky bar karaoke night and also trivia night, Children’s pool movie night, etc. We loved the gym, the ice cream shop and also Starbucks of course. We really liked the second floor location... easy access to beach.. just walk down stairs. I will warn you.... if you want to get the best and closest place for your tent on the beach... you will need to get up early to set your tent up.....we had our tent up by 6:30 every morning along with about 8 other people. That was not a problem because who can sleep once the sunrises on the beach? There are several restaurants you can walk to. We never had a problem finding a parking space in the garage....had to park on top floor one night. 😂. We will definitely come back to this condo. Thanks Lisa for allowing us the opportunity to enjoy your awesome condo!! This condo was great! The 2nd floor view was perfect. We had everything we needed and really enjoyed our stay. Would love to visit again! Within a mile of the beautiful new Pier Park with awesome shopping and fabulous restaurants. Deep Sea Fishing adventures and Gulf World Marine Park within walking distance. ZooLife Wild Park within 10 minutes. Dog Track racing less than 20 minutes. Panama City Beach Winery within 15 minutes.